What’s so Special About a Pediatric Dentist? Driving around town, you have seen all the new pediatric dentist practices that continue to pop up. Despite what you may think, a pediatric dentist does not have to have a stylized building or a specific atmosphere to care for your child’s teeth. While a family dentist cares for children’s teeth from birth through adulthood, a pediatric dentist does typically have two (or more) specialized years of training in how to care specifically for infants, toddlers, children, teens, and kids with special needs. Since our practice is equipped to provide dental care for your entire family, we also have a great pediatric dentistry approach. We recommend that you start bringing your child to the dentist early. The average age for a first dentist appointment is 3 or 4, but we recommend that you start bringing your children in as soon as they have teeth. They may not fully understand all that takes place on that first visit, but starting them early helps to get them acquainted with the cleaning process. Making it part of your routine will help your child not be afraid as they grow older. And we have some fun goodies that they can look forward to after each visit, which always helps. When deciding where to go for your child’s dental care, be sure to think long-term. It’s always a good idea for the entire family to stick together. This allows a dentist to become familiar with your family as a whole, so that if problems occur, your dentist will be able to determine whether or not the problem is affecting your whole family. This enables your dental care provider to tailor a treatment approach for everyone in your household. And the dental care advice that your dentist gives for your child will probably be good advice for you (the parents) too. A family pediatric dentist will be concerned for the dental health of your entire family. Curbing sugar, setting limits, providing healthy snacks, and avoiding juice and soda are things that your child needs you to do for them—and for your entire family too. Will my child be having a cleaning today? X-rays? What is the overall state of my child’s dental health? Would you take a look at my child’s sports mouth guard? Can you customize one that is up-to-date for my child? Tell me about sealants. Is that something I should consider for my child? These are all great questions to ask when you are at your child’s pediatric dentist appointment. And if you have others, jot them down too. The only person more concerned about your child’s teeth than we are…is you. With children’s teeth, it’s so important to start good dental care early. Prevention is essential, and your family’s pediatric dentist will help start you on the path to a healthy mouth for you and your children later in life. The American Academy of Pediatric Dentistry (AAPD) has some wonderful online games and tools to help your children learn about their teeth and how to care for them. For more information on caring for your child’s teeth, and some fun surprises they can expect on their first visit, take a look at our pediatric dentist approach. It’s a new year, and many people are embarking on New Year’s resolutions that capture their ideals and hopes for the coming year. Some have resolved to lose weight. Others have resolved to maintain a regular exercise routine. And still, others are resolving to watch what they eat, and maintain a healthy, balanced diet. 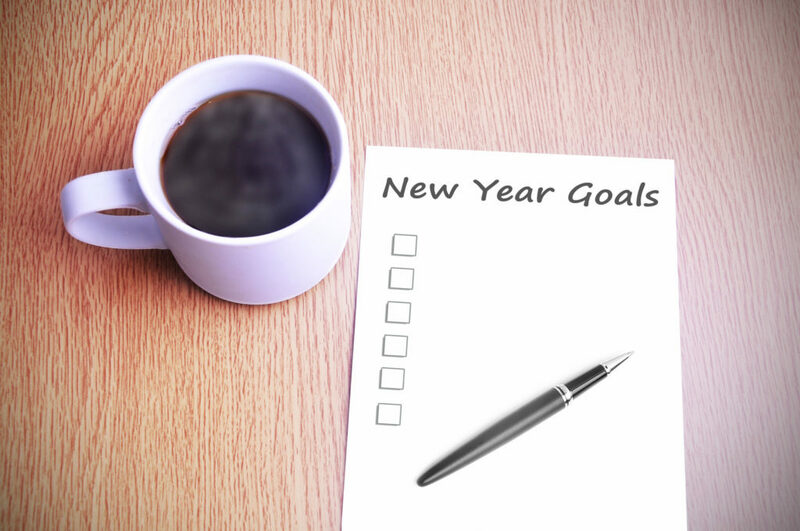 What is your New Year’s resolution, and does it include a renewed dedication to your dental care? The turn of a new year is a great time to revisit your dental care routine and renew your commitment to maintaining a healthy mouth. Cleaning your teeth – Let’s start with the basics. How are you brushing your teeth? Are you content with your toothpaste, or do you need to find one that meets your needs better? It’s helpful to remember to brush two times each day, for at least two minutes each time, using a soft-bristled toothbrush. If your toothbrush does not fit your mouth—making it difficult to reach all areas of your mouth—you should find one that does. Perhaps it is time that your dental care routine included an electronic, ADA-approved toothbrush. If you want to explore this option, make sure you ask us about the best electronic toothbrush for you. We have some great suggestions tooth care product suggestions to share. Switch to sugarless gum. – There’s no better time to begin buying sugarless gum, instead of the normal sugar-laden variety. Watch for the ingredient Xylitol and make sure the gum you purchase contains this sugar-free sweetener that can help prevent tooth decay. Flossing – If you’re like most people, we can tell to fall in and out of the habit of flossing our teeth. Whether you prefer the traditional tape dental floss or want to try one of a more modern option like a water flosser, find the approach that fits you best. Whatever your excuse for not flossing (we hear lots of them), the benefits for your dental care are too great to ignore. If you’re concerned about your technique or have questions about which is the best dental floss method for your situation, we can definitely help. Time for a dentist office visit – If you are behind with your visits to the dentist office, never fear! It’s never too late to start. You may or may not be experiencing problems, but the new year is a great time to make your oral health a priority. The perfect way to begin new and improved dental habits is by making an appointment to have your teeth cleaned and examined. Start by looking for a dentist nearby, visit the website, and book your appointment. If you are anxious about your visit, tell us. We would love to set your mind at ease and discuss ways that we can make you more comfortable during your visit. Make us part of your new dental care plan, and your mouth (whole body) will benefit. Quit something. – Most New Year’s resolutions include things people want to start doing–new habits, new routines, new experiences. But some of the healthiest resolutions include quitting things like smoking or eating too much sugar. Cutting out either or both of these habits have far-reaching health benefits, but can have dramatic benefits for your mouth. Your new dental care resolve should include cutting out things that harm and damage your teeth through decay and erosion or cause harmful illnesses and disease. Quit smoking. Make healthy dietary choices, including decreasing your sugar intake. Resolve to remove these harmful habits from your life. Your body—and mouth—will be better for it. This is a great time to revisit and rethink your dental care. Build your brushing and flossing into your daily routine, so that it becomes second-nature. You will be surprised how quickly it can become something you do that you hardly notice. Then call us to schedule your next dental appointment. We have made it so easy too—just fill out our online form! You don’t even have to make a phone call. Just click on the “Book an Appointment” button at the top of our website. We are excited to partner with you in making 2017 the best year yet for your teeth. There are just as many dental questions as there are dental issues—if not more. And we love it when you ask questions—we really do! We love it when our patients are engaged and active about their oral health, so we welcome your questions. There probably isn’t anything we haven’t heard before. Rest assured that tons of people experience the same issues you are experiencing, so odds are that if you have a question, someone has already asked it. Questions can range from how much are dental implants? to why do my teeth hurt? We thought we would take a minute to try and answer some of those questions. How much are dental implants? Dental implants are an amazing tool for modern dentistry. But when considering the implant option, many patients may be fearful of the dental implant cost. There are many options you can discuss with your dentist that can reduce the cost, and assist you in maintaining a bright and cost-effective smile. What if I don’t have dental insurance? Do I need dental insurance? Can I get care? What if I can’t afford it? Good news! Most dentists can work with you. If you are willing to pay in full on the day of your visit, most dentists offer competitive discounts, so this could be a great option for you if you have generally healthy teeth. To avoid major dental bills, patients should always take a close look at their normal dental routine. If you take good care of your teeth and can pay cash at the time of your appointment, dental insurance might not be a cost-effective option for you. However, if you have greater needs (despite your best efforts), lots of dentists offer payment plans or can help you find a dental discount plan or club you can join. The bottom line is that if you are concerned about the cost of your dental care, please ask us for options. We can give you tools, point you in the right direction, and offer you options to help. Are dental sealants really worth it? Imagine that your teeth are knights, headed into a battle. If those knights didn’t have their armor on, they would be susceptible to mortal wounds. But, if they have their armor on, they are protected and harder to injure. Sealants are like armor for your teeth. Dental sealants are a plastic coating that is painted onto your tooth, that blocks them from trapped food particles, decay, and other dangers. If you do have dental insurance, most companies cover the cost of sealants, which is great news. What kind of toothpaste should I choose? This is one of the most common dental care questions we receive. With the immense variety of options for toothpaste, how do you even begin to choose the right one, and does it matter? To choose the best toothpaste, make sure it has the ADA seal of approval, or simply ask us what we recommend. We would be happy to help point you in the right direction. Know your needs, too. Do you struggle with dry mouth or sensitive teeth, or are you interested in more natural options? Let that point you in the right direction for your mouth needs. There are many reputable online guides, articles, and reviews as well. There are many other questions people ask about dental care, so stay tuned, and we will continue to try and answer some of those most commonly asked questions. In the meantime, be sure to call or e-mail us if we can help. Our office most likely has an answer that fits your needs. Humanity has come a long way since using twigs, chew sticks, and swine-hair or horse-hair bristled toothbrushes to clean our teeth. Thankfully, our knowledge of how our teeth work—and impact the rest of our health—has grown exponentially. Research has opened up the mystery of the tooth like never before. Now in 2016, we truly have some of the latest trends to reverse periodontal disease (or tooth decay), and our mouths are healthier because of it. Tax on sugary drinks – Like the tax on cigarettes, the World Health Organization (WHO) has suggested that governments worldwide should begin taxing sugary drinks. These drinks have been strongly linked to the obesity epidemic, diabetes, and tooth decay. The idea is that a price increase due to a tax on sugary drinks would discourage consumers from being so eager to spend their hard-earned money on these beverages that cause their bodies and teeth harm. Digital dental X-rays vs. radiographs – While digital X-rays have been on the market for several years, it wasn’t until more recent years that they have become more popular and accessible. Radiographs (or traditional X-rays) have largely become a thing of the past. Digital dental X-rays are much faster than the traditional version and can be stored on the dentist’s computer, and expose patients to much less radiation than before. Silver diamine fluoride (SDF) – Imagine treating cavities with no drill and no injection! Silver diamine fluoride (SDF) has only been approved for use in the US for about a year now but has been widely used for decades in Japan. While the treatment is not as aesthetically pleasing as traditional fillings, it does help to keep patients (especially children or the elderly) from the inevitable trauma of injections and drills. New antibacterial mouthwash – A UCLA scientist has developed a remarkable new mouthwash that kills the worst species of mouth bacteria after using it just once! 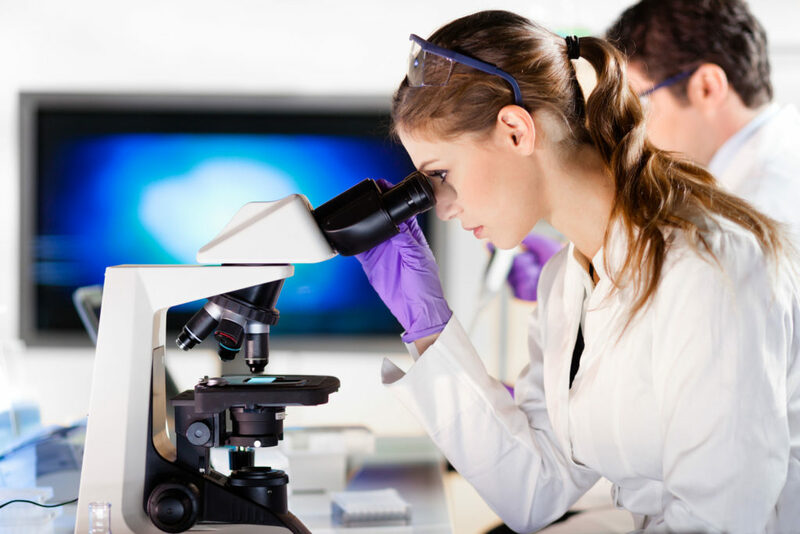 Research has shown that even four days later, patients remain bacteria-free. The new antibacterial mouthwash is currently being considered for FDA approval. Fluoride varnish – The increased use of fluoride varnish among children is leading to a sharp decrease in tooth decay (dental caries) among younger brushers. While the fluoride varnish is not a one-stop-shop for fighting, it is an incredible tool in the dental care arsenal. The varnish is completely harmless, only helping your children’s teeth, and protects teeth for a long time. Sugarless gum – The taste of gum without sugar has come a long way. Making the switch to sugarless gum is one of the easiest ways to improve your dental health. Some studies even show that it impacts, and may even reverse periodontal disease. Manage tooth sensitivity – An increasing number of people are dealing with sensitive teeth, and their options for toothpaste and treatments to manage tooth sensitivity are growing and improving. And since the treatments for dental decay are constantly improving, the hope is that the causes of sensitivity will decrease. Increased dental care for babies & children – For years, people have been under the impression that dental care for baby teeth doesn’t really matter. After all, they just fall out, right? While they do fall out and are replaced, we’ve found that the earlier dental care begins, the better chance for healthier teeth in the long run. There is much more going on in your child’s mouth than just their baby teeth—teaching proper total oral health is key. Healthy teeth for kids isn’t just about your child’s teeth—it’s about their jaw bone and gums as well. To reverse periodontal disease, starting early with your baby is very important. Fighting tooth decay in children helps them maintain health teeth for life. Dental care for your children is important from their earliest days—even before they actually have teeth. Establishing a healthy tooth cleaning routine will help your child take care of their teeth their entire lives. Since tooth decay can begin as soon as you start seeing teeth in your child’s mouth, it is vital to establish these habits of healthy teeth for kids early in life. Those healthy habits include your kids first dentist appointment. Looking down the road to your child’s first visit to the dentist, the thought of preparing them for their first dentist appointment can leave many parents apprehensive. We have some tips that might help. Plan a dentist office field trip. Stop by our dentist office before the actual appointment, so that you and your children can look around, meet our staff and Dr. Gardner, see the dentist chair, and get a feel for what their first appointment will be like. We also have a free surprise that your child can take home with them. Read books about going to the dentist. Take your child to the local library, and ask the librarian to direct you to book about going to the dentist. Grab a comfortable seat and begin reading. There are many, many books that are geared especially for children, and reading them to prepare for your kids first visit. Ask your friends for advice. Chances are that if you know other parents who have already gone through that first dentist visit, they will have some great tips to offer. Talk about the goodie bag. Each visit to the kids dentist can be an exciting time, especially when goodie bags are involved. Be sure to make this part of the conversation, since this can be a great part of getting your child excited about their visit. 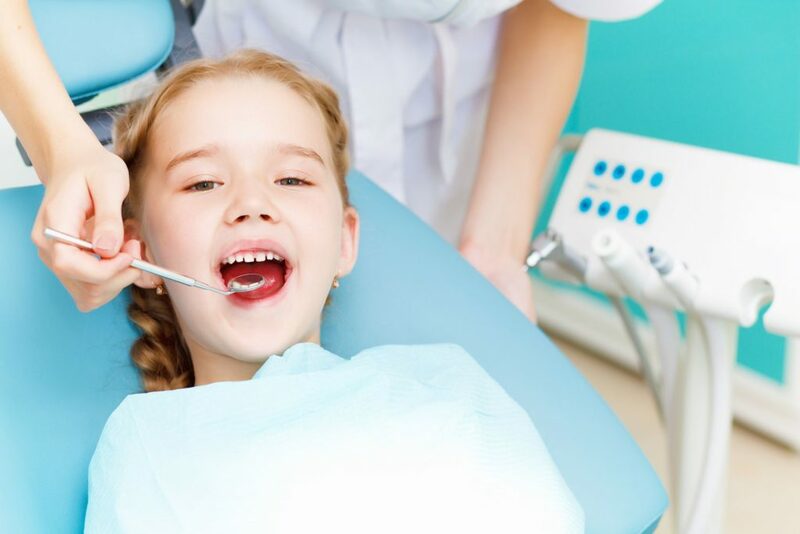 The good news is that if you alert your dentist to the fact that this is your child’s first appointment, they are most likely to be very sensitive to that. Like a good kids dentist, one of our goals is to make that first visit as positive as possible, so if we don’t get everything done in that visit, it’s ok. Establishing a positive experience will go a long way to helping your child not be afraid of the process. You, as the parent, are an essential part of our dental team in helping this first visit be a good one. Taking these tips for preparing will help both you and your child. They can help to eliminate any anxiety that might be at play—for both of you. Establishing your child’s expectations (and your own) goes a long way to remove the fear of the unknown. Visit our office for a tour (and to pick up your child’s free surprise! ), read good books about your kids first dentist appointment, ask your friends for tips, mention the goodie bag, and watch helpful videos. And don’t forget to ask us any questions you might have. As a family dentist, we’ve been taking care of children’s teeth for many years and are here to help. Parents count it a miracle when their children are able to actually make it out of bed the morning after Halloween, and an even bigger miracle to actually get a good meal in them and then out the door to school. The day after collecting all the candy, then dumping it out on the table to gaze upon their spoils, and carefully planning out which candies they will eat and when the danger for their teeth begins. It’s no mystery that dental care after Halloween is very important. With all that sugar, there are considerable risks for teeth (and bodies), but there are some ways to enjoy the sudden treasure trove of candy while minimizing the damage. 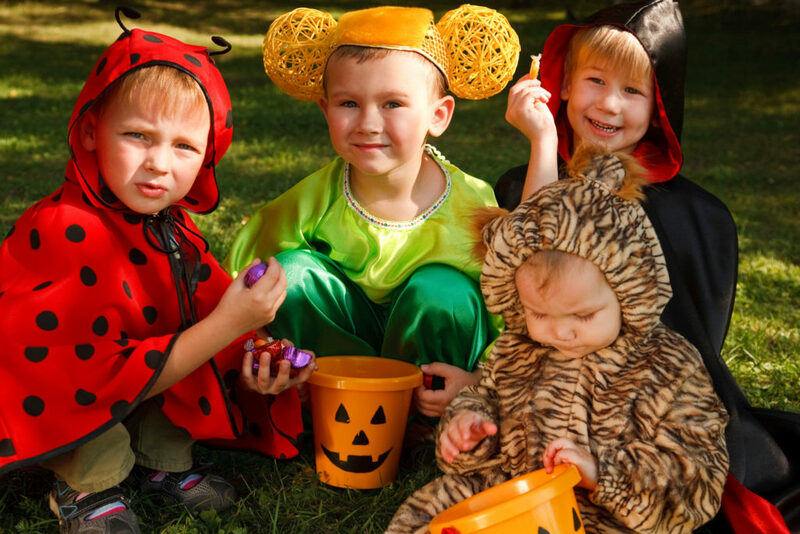 The abundance of candy in the house makes this a great time to talk about balance and moderation with your family. We all know that feasting on treats all day long is not healthy for anyone in any way, so set a limit—one treat a day (of your child’s choice), or set a specific time for treats like putting a treat in their lunch, or allowing them to have a treat when they come home from school. Not allowing your children to partake in Halloween treats will only increase their desire for them, so teach them about balance, and fill their diet with foods that are good for them—their teeth and bodies. Try to choose the treats that are less dangerous for your teeth, if you can. Caramels, taffy, gummies, and the like pose a greater danger as they are harder for saliva to wash away. They hang around in your mouth, sticking to teeth much longer, and are more likely to cause tooth decay and cavities. Indulging in these types of candies can also contribute to an increase in calls to the emergency dentist, and are particularly dangerous for those with braces. Meals are a great time to indulge in a treat. Saliva production is already heightened, which helps to “wash” the sugar, acids, and food particles away from teeth. Water is so important on any regular day, but it’s even more important during and after Halloween. Since your kids (and probably you, too) are consuming more sugar, adding sugary drinks to the mix isn’t just a nightmare for their teeth, but a nightmare for you too. Make sure that you’re all stepping up your water consumption, and abstain from sugary drinks. When a toothbrush and toothpaste are not nearby, keep some ADA-approved sugarless gum in your car, pocket, or purse. This can especially help while there is greater access to a variety of candies. If you cannot brush right away, chew some sugarless gum to help keep candy residue from sticking to teeth. Right now it is more important than ever to continue regular dental routines with your family. The object is not to allow the sugar from treats to sit on your teeth for very long. Continue brushing twice, flossing, and using antibacterial mouthwash every day, so that sugar and acid don’t have a chance to do their damage. Halloween can be a fun time for everyone in your family. Enjoy the fun, sweet treats, while taking extra care to maintain a healthy diet and healthy dental care habits. Taking care of your teeth during Halloween can save your teeth from unnecessary erosion and decay. Parents can help maintain healthy teeth for kids through common sense—sweets in moderation, and continuing with diligent dental care. Finding the right dentist for you and your family might sound like climbing Mt. Everest. Knowing where to start with your search is half the battle, but the process of searching for a dentist that will be the right fit can seem like a daunting task. So, where do you start? There are lots of good questions to ask, and hopefully asking them will help you figure out what is most important to you in a dentist office. Being prepared ahead of time is vital when investigating a new dental practice. Don’t be afraid to interview your dentist ahead of your first visit. 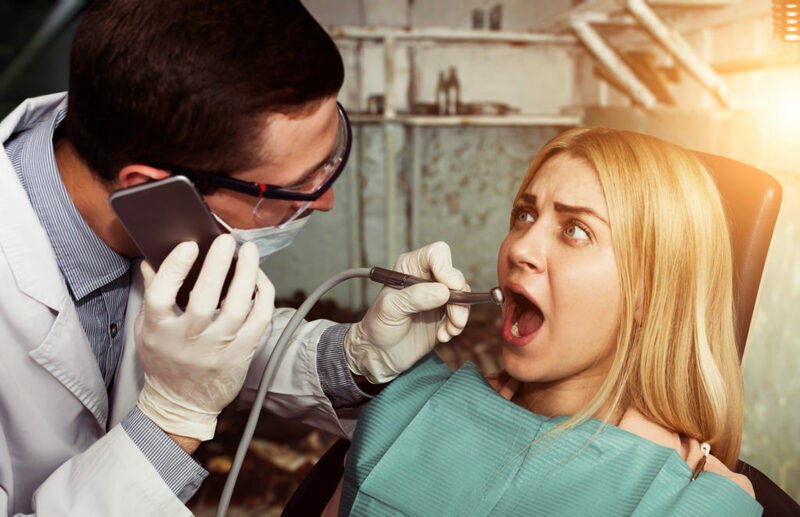 You do not want to set up cleaning and exam appointment and discover halfway through that you do not like the practice or the dentist that is poking around in your mouth. Make sure you are comfortable before your first time in the dentist chair. Do you have trusted friends or family members who have found a good dentist in your area? If you have children, are you looking for a family dentist? 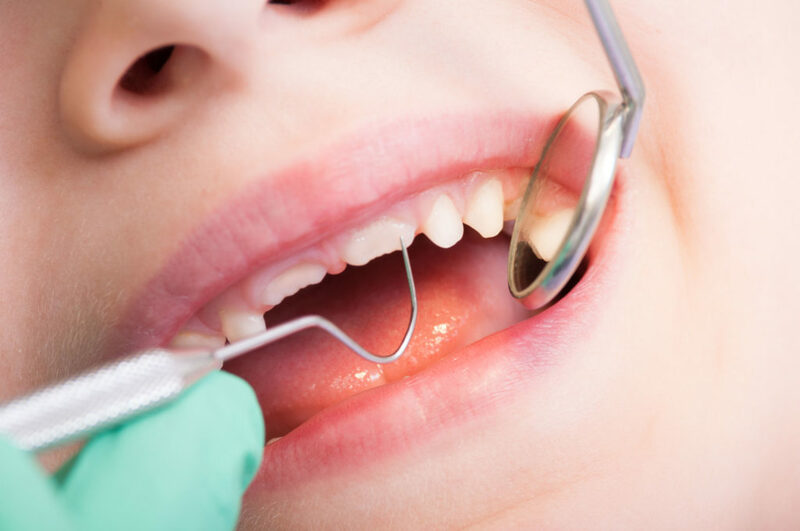 Does the dentist treat both adults and children? Are you looking for a practice that specifically offers only child-friendly dentistry? The American Academy of Pediatric Dentistry (AAPD) has a good tool for finding one nearby. Does the dentist office accept my insurance? Does the dentist office offer payment options? How long has this dentist been in practice? How old is the dentist practice? What services does the dentist offer? Does their office offer dentistry referrals? What kinds of technology does the dental practice use? Is it easy to get an appointment with this dentist? Does the dentist take the time to talk with me and answer my questions? Or do they seem hurried and anxious to move on to the next patient? Does this dentist provide emergency dental hours and treatments? Does the office file claims for you, or do you have to file claims with your insurance on your own? Is the dentist near me? How much training has the dentist received? What certifications/credentials do they have? The questions you ask will depend on which ones strike at what is most important to you in finding a dentist. Identifying your needs is the first step in figuring out which dentist office will be the right fit for you. When you call to find out more, don’t ignore your gut either. If the dentist’s staff is not polite or acts annoyed by your questions, move on to a different practice. They may have great reviews for their services, but if they are not willing to listen to you, that particular dental practice may not be the right fit. This is especially true when it comes to your children’s teeth. Evaluating: Did you find the right dentist? 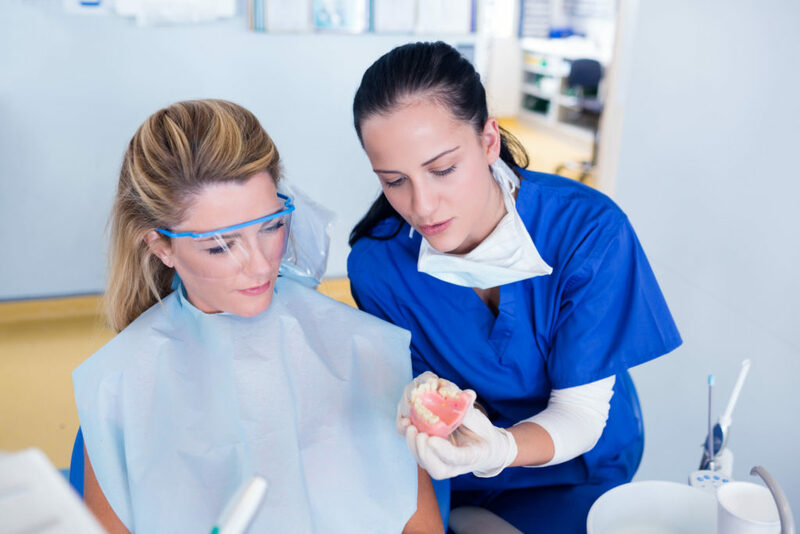 Once you have asked all the right questions, and are comfortable enough to schedule a dental cleaning and exam, the process does not end there. Now you have to determine if your initial impression will match up with your actual experience. After going through with that first dental appointment, ask yourself if your experience met your expectations. If these two things do not match up, continue your search. But hopefully, you have found the right dentist and can start building the relationship between them and your dental health. This relationship is essential, not only for the health of your teeth but also for your overall health. Being a dentist in Charleston, SC, is a unique privilege for Dr. Gardner. Our practice is excited to have the opportunity to protect the gateway to your body—your mouth. While the thought of finding the right dentist for you and your family may feel like a daunting prospect, our goal is to help make that search a bit easier. When playing sports or exercising, most of us are focussed on what we’re doing (or trying to do), making sure we have proper form, are using the equipment correctly, and trying to move quickly and accurately. Our teeth are not often at the forefront of our minds when we’re trying to run, swim, or score a point. Parents are concerned about their kids’ teeth while playing sports, but adults frequently neglect to protect their teeth during the same activities. Many variables present dangers for your teeth—bats, rackets, elbows, hard floors, falling, parked cars, tree branches, balls, bicycle accidents, falling while rock climbing, surfboards, etc. They key to protecting your teeth during exercise is preparation by using a sports mouth guard and other protective tools. Injuries to your teeth during sports and exercise are unpredictable. And unfortunately, most adults do not consider how to protect their teeth until something happens to them. Protecting your teeth while playing sports is not just for people who consider themselves “clumsy” either. No one can predict when they might have an exercise-related tooth injury, so these steps are for everyone. You never know when a sports-related mouth injury might warrant a call to the emergency dentist. Teeth are amazingly fragile and can get knocked out by the most seemingly innocuous incidents. The risk for tooth damage is heightened during exercise and sports because of the intensity with which you are moving and playing. With team sports, there is the added risk from other players bumping into you, accidentally elbowing you in the mouth, etc. Mouth Guards – Exercise and sports will many times induce us to clench our teeth—often unknowingly. Using a mouth guard not only acts as a barrier to damage from outside forces, but it also prevents you from clenching your teeth and causing damage from within. Clenching your teeth causes the muscles in the jaw and face to become fatigued along with the muscles in the rest of your body, and a mouth guard saves these muscles from tiring too quickly. 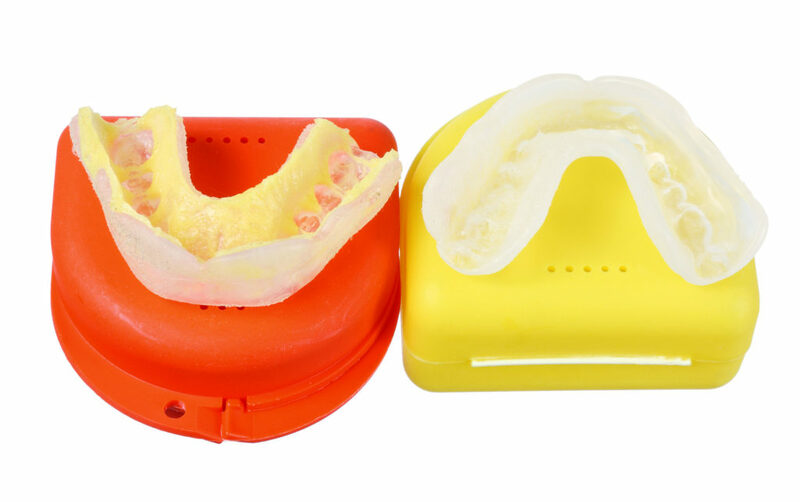 There are several different options for protective mouth guards: preformed, boil-and-bite, and custom created/fitted. The best fit and protection is offered by guards that are custom created, like the mouth guards we can make in our dentist office (ask us about this). Helmets – For cyclists and those playing baseball, hockey, soccer, football, and other contact sports, wearing a helmet is crucial. Be sure to choose the right helmet for the right sport, as they are specifically designed to protect against the injuries that are particular to that sport. Wearing the right helmet can protect your mouth from injury, but can also protect your entire head from traumatic injuries. Water – While sports drinks have been the go-to for many sports participants, there are far better choices for hydration, especially as it corresponds to the health of your teeth. There are much more sugary drinks, but sports drinks are still highly corrosive on the enamel of your teeth. Instead of sports drinks, try sticking with water (your body needs it anyway) or try coconut water. Coconut water is extremely low in sugar but remains sweet and packed with natural electrolytes, antioxidants, vitamins and minerals, and other things that are great for replenishing your body during high exertion. Just remember—having a tooth knocked out is forever. You can not get it back, and the process involved in having an artificial tooth put in is not easy and can be fairly expensive. Keeping your normal teeth is the ideal. So protecting them is key. It is crucial that parents guard their children mouths from mouth injuries during sports, but it is equally important for adults to take the necessary precautions when exercising. Use the tools at your disposal, and make the best hydration choices—avoiding sports drinks—your teeth will thank you. Make this part of the conversation during your next dental office visit. We can provide suggestions for the best mouth guards (or book an appointment so we can make you one!) and help you form a strategy to protect your teeth during exercise. 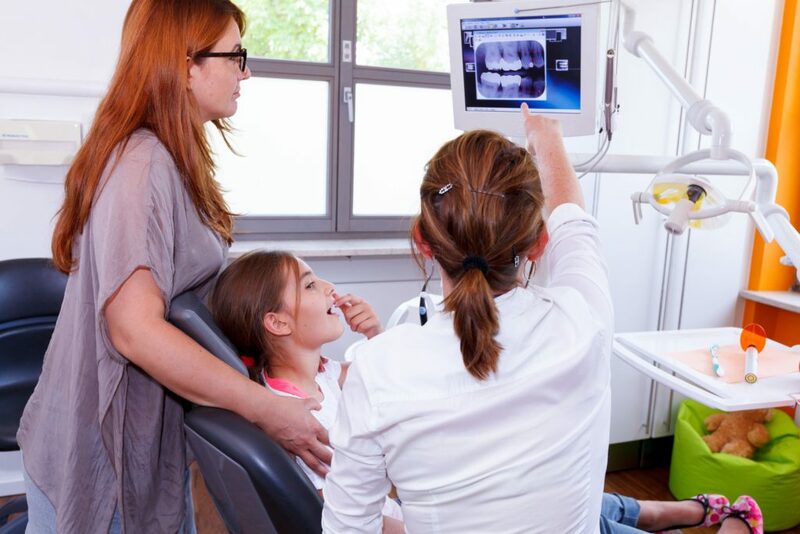 If you have children, one of the most important elements of finding a family dentist is finding one that will accommodate the adults as well as the children. Finding a dentist for your whole family is important because it gives your provider a good picture of your family’s overall dental health. Experts agree that the sooner your little ones begin a dental regimen and start visiting the dentist, the better. If your whole family goes to the same dentist, your provider can keep tabs on patterns of care or genetic dental issues that might be happening in your household. But finding a dentist who can handle your whole family may be hard than you think. Many dentists claim that they are a “family dentist,” but are they really? Here are 4 questions to ask that will help you find a true family dentist. Does the dentist work well with children? When in doubt…ask. Some dentists are very transparent and will tell you they don’t like working with children. Simply asking makes it easy to continue your search. Find out exactly how the dentist relates with children–do they give a “goody bag” at the end of the visit? Do they have fun kid-friendly toothpaste and fluoride flavors? Do they have fun things for the kids to play with or look at or read in the waiting room? How accommodating is the staff? Is the staff able to work your whole family into the same day, so that your semi-annual dentist appointments are streamlined? Do they pay attention to and interact with your children, as well as with you? Do they act annoyed by the commotion your family may cause, or are they understanding? In short, you’ll want to make sure that the staff are not just friendly with you, but also with your children. What credentials does the dentist’s office have? Do some digging and check out your potential dentist’s credentials, as well as the credentials of their staff. This will help you see what kind of experience they have, and give you a well-rounded picture of the dentist’s history. What does the dentist’s website say? Poke around the practice’s website. If they use language like “dental care for the whole family” or include a section on pediatric dentistry, or something similar, they are more likely to be accommodating. This could help to narrow your list. If the particular dentist does not work well with children, their website is not likely to use these types of phrases. It may be helpful in finding a family dentist to see if their website promotes them as a dentist for families. What do your friends say? Ask around. Who do the other families in your life recommend? Gathering the opinions of your friends can be invaluable when trying to find a family dentist. Ask, and I’m sure you will get some great feedback. This can help you eliminate the not-so-family-friendly dentists in your area, and could help you find that gem-of-a-dentist that you’ve been seeking. When you find someone who loves their dentist enough to take their whole family to their practice, it’s worth checking them out. Establishing and keeping a relationship with a dentist near me, will only help to make your whole family at ease, and make it easier for all of you to maintain the health of your teeth. A dentist who is great with your family as a whole helps to simplify your life by streamlining your family’s dental care and gives your dentist a glimpse into your family’s dental health history.